The controversial new film VAXXED opened recently in Sacramento, the state capitol of California. The film's producer, Del Bigtree, along with other members of the film, decided to stop by and try to talk to some of the California State legislators about the film, which is a documentary about the CDC whistleblower who admits that the CDC hid key data in a study that linked the MMR vaccine to autism. Last year, California became the first state in the U.S. to remove the religious and philosophical exemptions to childhood vaccines as a requirement for attending school. Senator and medical doctor Richard Pan was the sponsor of the bill, and has also received campaign funding from pharmaceutical companies according to public records. Del Bigtree stopped by Senator Pan's office to try and start a conversation regarding vaccine issues, since he was the sponsor of the bill that removed vaccine exemptions last year. As you can see in this video, he literally ran away from him in the capitol building avoiding any discussion on the topic. 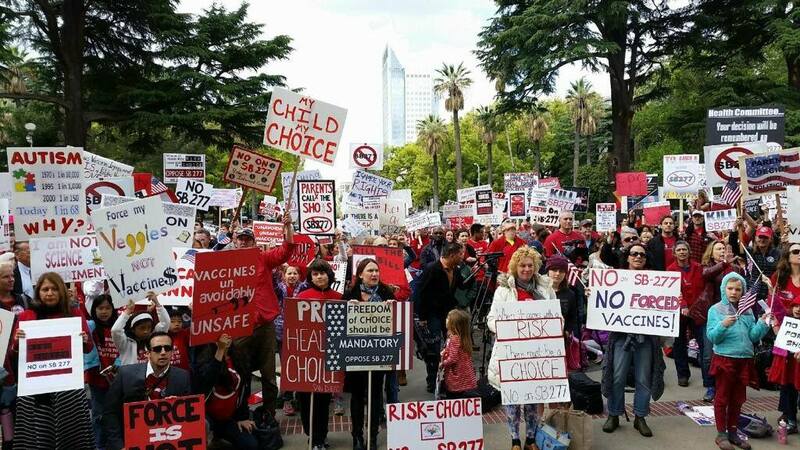 The Sacramento Bee is reporting this week what the alternative media has been reporting for months: California State lawmakers supporting bill SB277 to remove all parental exemptions to vaccines have direct financial ties to the makers of vaccines. Pharmaceutical companies and their trade groups gave more than $2 million to current members of the Legislature in 2013-2014, about 2 percent of the total raised, records show. Nine of the top 20 recipients are either legislative leaders or serve on either the Assembly or Senate health committees. Receiving more than $95,000, the top recipient of industry campaign cash is Sen. Richard Pan, a Sacramento Democrat and doctor who is carrying the vaccine bill. In addition, the industry donated more than $500,000 to outside campaign spending groups that helped elect some current members last year. Pharmaceutical companies also spent nearly $3 million more during the 2013-2014 legislative session lobbying the Legislature, the governor, the state pharmacists’ board and other agencies, according to state filings. Wealthy, educated parents in southern California who are in the heart of the entertainment industry, from Malibu to Hollywood, lead the nation in rates of personal belief exemptions for childhood vaccinations among students in some of the wealthiest private schools in the country. However, if SB277 becomes law, that choice will be taken away. 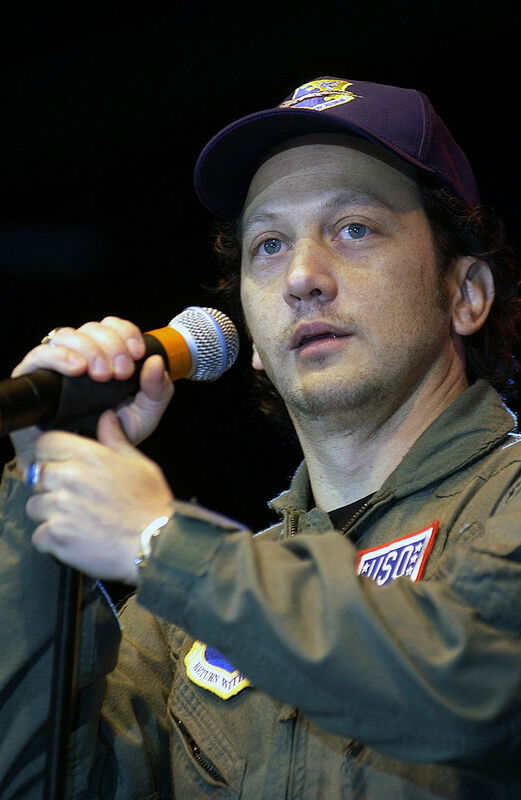 Why aren't more entertainment leaders and public figures speaking out against medical tyranny in California? Only Mississippi and West Virginia have no parental exemptions in place for vaccine choice. Has anybody checked the rankings of these two states in children health categories? Do California parents really want to mimic health policies in these two states? Mississippi has the highest childhood vaccination rates in the country, but also lead the country in infant mortality rates, ranking dead last. One high profile California resident has made his position on vaccines known: Facebook founder and CEO Mark Zuckerberg. Are Silicon Valley billionaires influencing public policy on forced vaccinations? 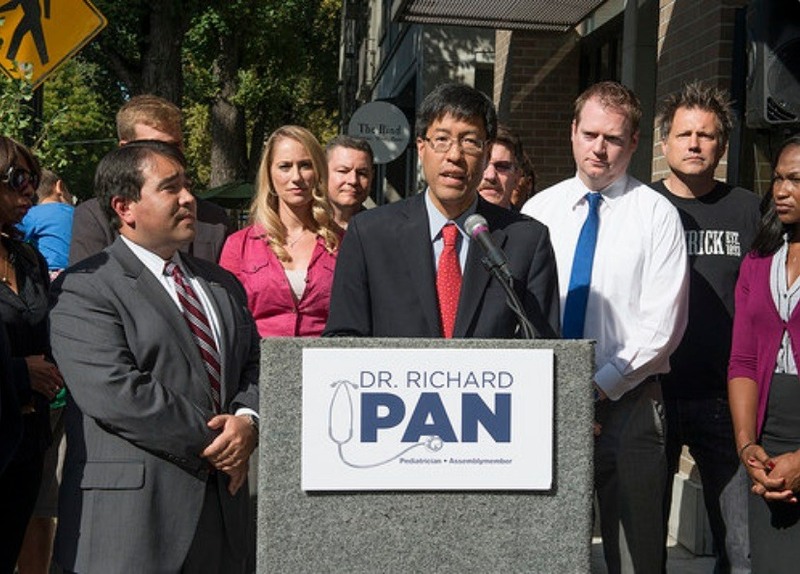 Dr. Richard Pan of California is the author of one of the most tyrannical bills currently being proposed in the U.S. to take away the right to informed consent for a medical procedure. SB277 is a proposed California bill that would remove all personal belief exemptions to vaccines and prevent children from attending school unless they are fully vaccinated. A hearing on SB277 was held at the State Capital on April 15, 2015. The support was overwhelming opposed to the bill, with only 53 people present supporting the bill, and 743 present opposing it. The Senate Education committee did not take a vote on the bill that day, as several members of the committee had reservations about it. A vote was put off until April 22nd, one week later. At the April 22 meeting, after 13 minutes of discussion, the committee passed the bill by a vote of 7 to 2. What happened? How could the committee pass a bill with so much opposition from their constituents? 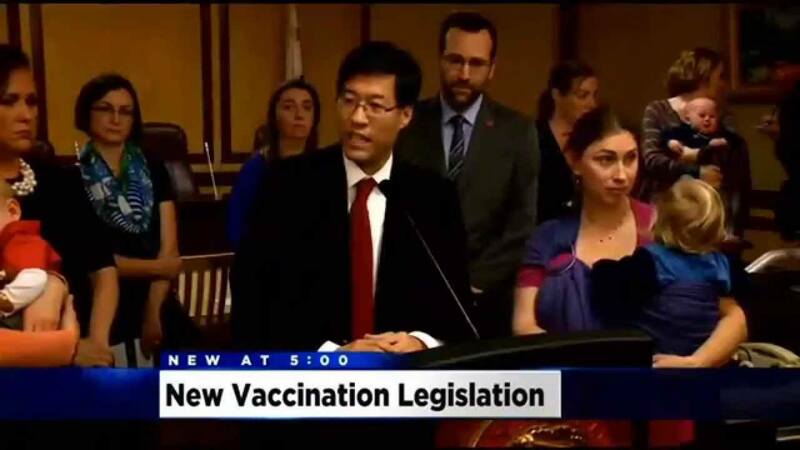 California State Senator Dr. Richard Pan is a co-sponsor of a new proposed California bill, SB 277, which seeks to remove the personal belief exemption to vaccinations in California. Who is Dr. Pan? He is an "industry insider" when it comes to the medical industry. He is a teaching faculty member at UC Davis Children's Hospital, and has served in many organizations that set medical policy and funding, such as the American Medical Association, the United Way, Sacramento First 5 Commission, Healthy Kids Healthy Future, Sacramento Health Improvement Project, and others. 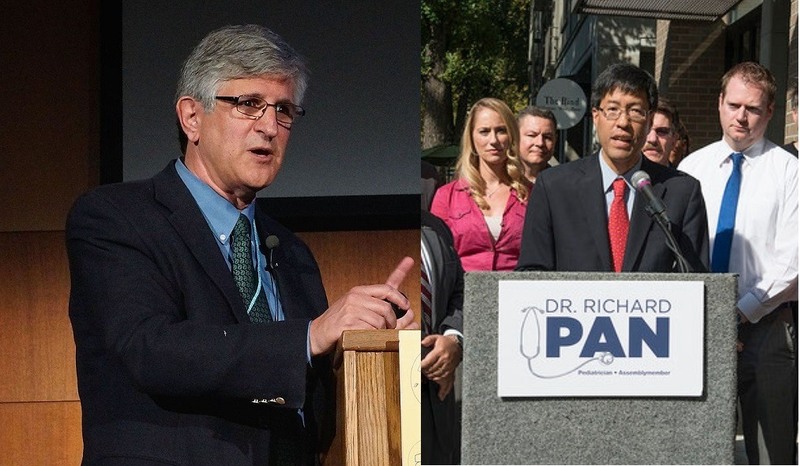 Dr. Pan was also a supporter of AB 499 which allows minor children as young as 12 years old to be vaccinated with the Gardasil vaccine without the knowledge or consent of their parents.